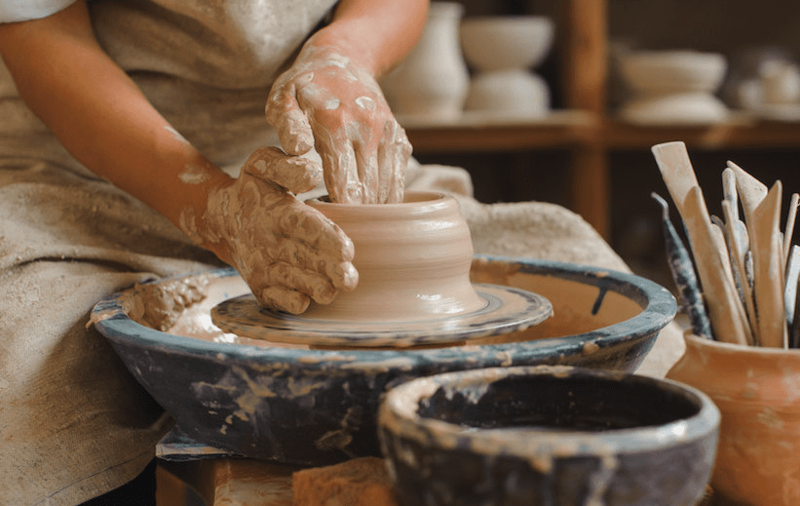 After a long day at work, your mind might be running a mile a minute so exercise might seem like the answer to slow down and destress, but pottery has quickly become an alternative to this. Art, and specifically working in very hands-on mediums like clay for pottery or sculpture is a very demanding process which works a completely different part of the brain than intense cardio workout like running does. It allows you to activate your creative side and slow down. 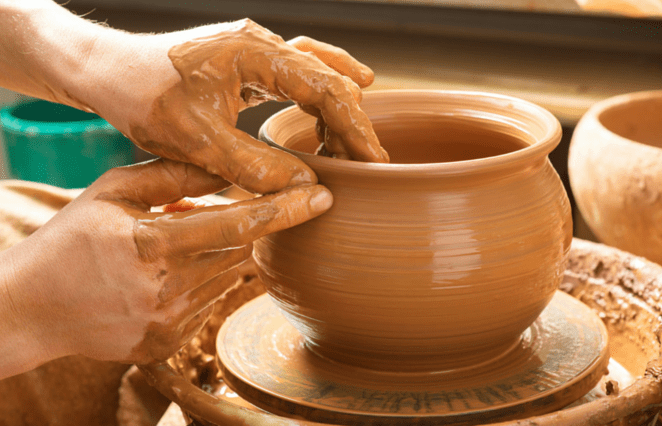 Getting on the wheel, spinning, and throwing your clay to form a pot or cup takes a lot of work and concentration. It requires precise movements, and even once whatever you decided to make has achieved the desired shape there is still the glazing and firing stages. This is how pottery helps you to forget your day, and concentrate on a completely unrelated task. Learning how to work with clay actually employs all three processes that contribute to the de-stressing process. It affects a person mentally, physically and kinesthetically. First, you need to decide what you intend to make. Are you going to make a cute little pot or an abstract mug? Once you have decided on that you need to go through the process of wedging the clay and getting rid of all the air bubbles. This takes some real muscle, and you get to take out any frustration from the day on the clay by smacking it, and folding it until it is ready to be thrown. 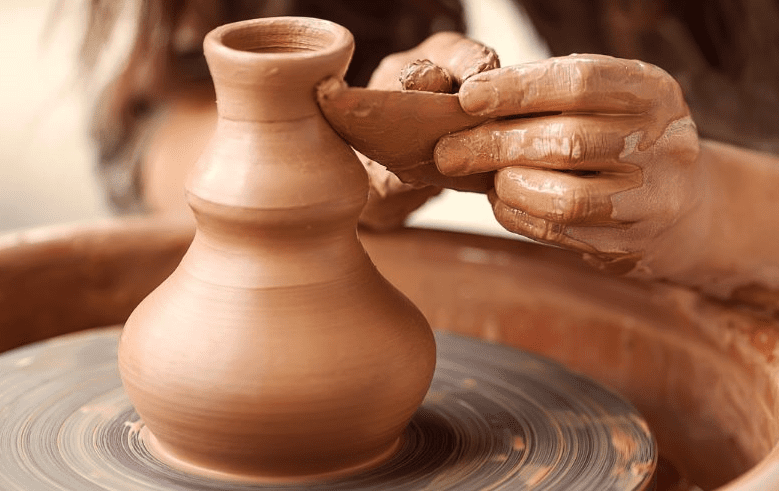 Then, you have to throw the clay into a shape which takes intense concentration, which does not leave room to worry about anything else except the clay and the process, which itself is a form of meditation. Once the object dries then glaze mixing and selection has to be done until the finished object is there. When the mug or pot is finished and sitting in front of you, it is basically a culmination of all of your frustrations transformed into a something you have made by hand, which is a true achievement. The more you go through the process, the more your pottery will improve, as will your peace of mind. If you view the process as a form of therapy that utilizes all the senses you will find that the benefits are exactly the same as going to an intense spinning class mentally. You can let go and just focus on the clay and its journey. So take a look at your local community center or artist workshops and give it a try. The results may surprise you!